Would you like to know when exactly the best fishing times occur, so you will have a greater chance of catching a lot of fish? Fishing Deluxe helps you plan your trips by predicting specific days and times with high probability of fishing success for any location. How does it work? Best fishing times are calculated based on the information about the Moon and the Sun. 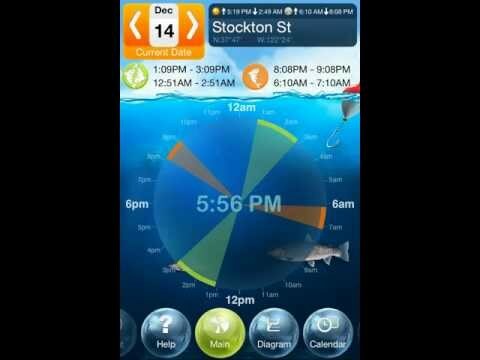 Always know best fishing days and specific times with Fishing Deluxe! - Change your location easily - select a catch location and press "Go To". If you like Fishing Deluxe, please write us a review on the Google Play. Your support would greatly help us make the application better!